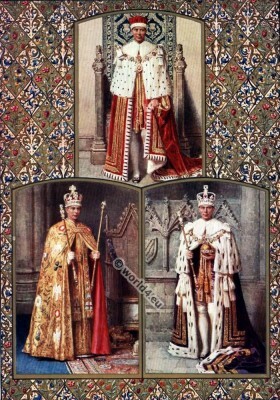 The Robe of State, with the Cap of Maintenance; the Golden Imperial Mantle, with St. Edward`s Crown; and the Robe of Purple Velvet, with the Imperial State Crown. From the paintings by Fortunino Matania. 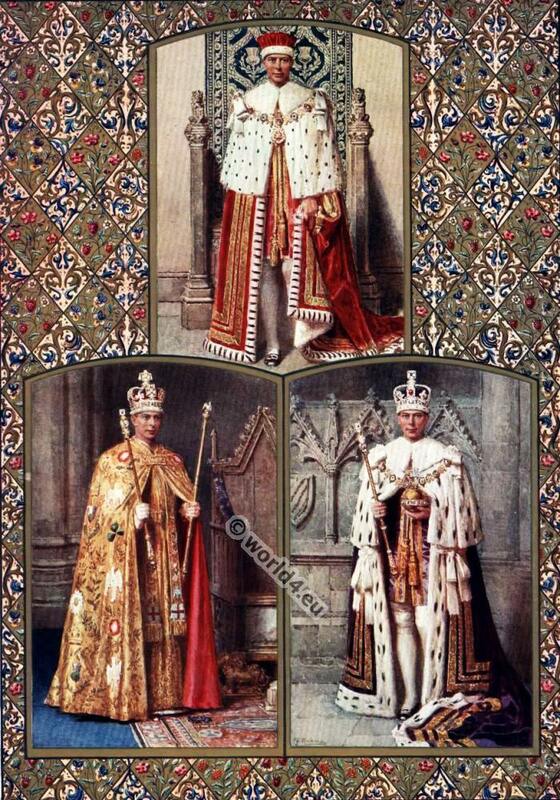 This entry was posted in 20th Century, England, Nobility on 12/14/14 by world4.